Happy Monday! Hope you all had a great weekend! In case you all missed our first Friday FAQ, you can check that out here. 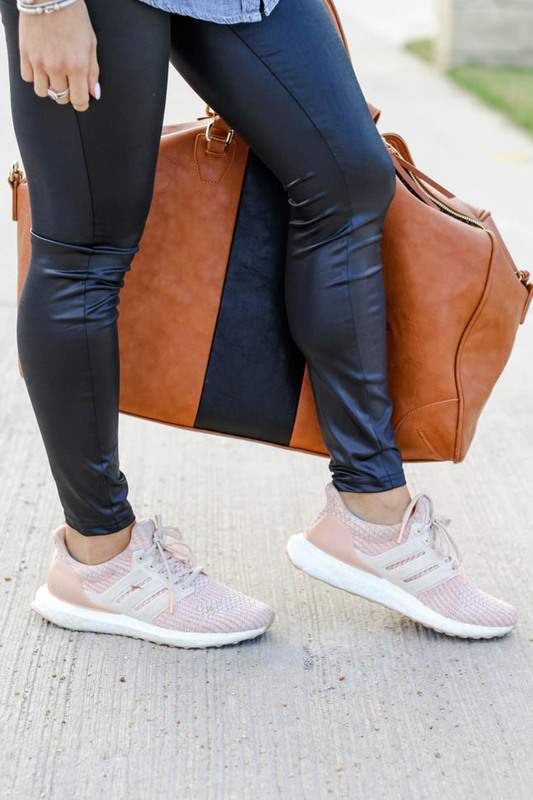 We know the holidays are over, but a lot of us are taking weekend trips or short trips in the next few months, so we wanted to share what we typically pack in our carry-on/weekender bag. First off, having a good carry-on suitcase or weekender bag is a must! We love this weekender bag and this carry on the most, but see below for more options! The one we are wearing is vegan and has a crossbody strap. It is also super roomy! 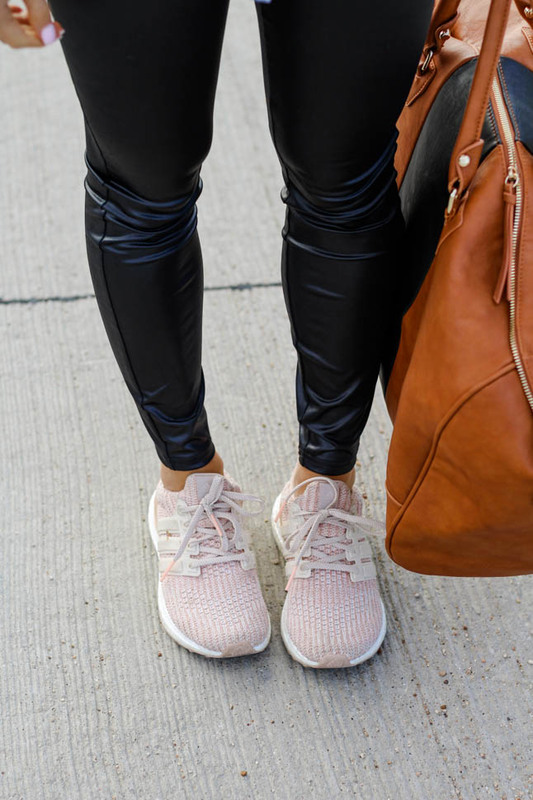 For starters, we almost always travel in some kind of athleisure look, like this one! It is comfy, but looks put-togther- aka a win-win! These Adidas Ultra Boost sneakers are probably our most worn pair. They are literally the comfiest shoes and so light! 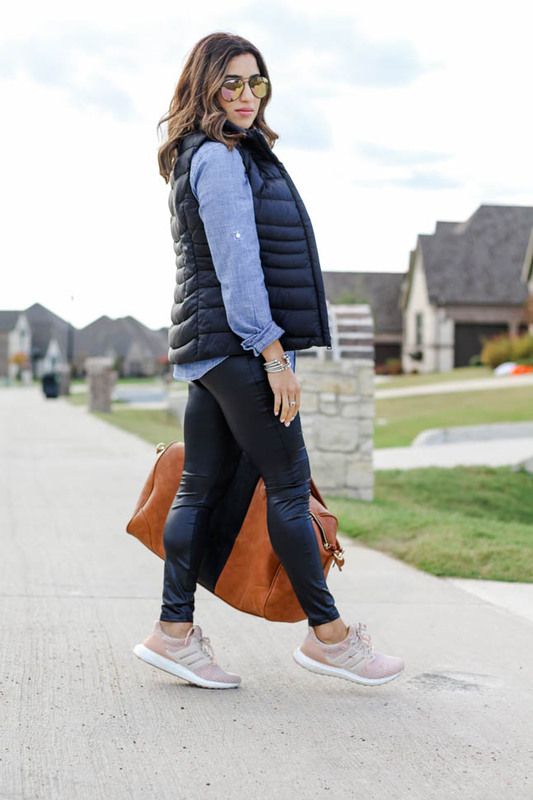 We paired them with our go-to faux leather leggings, which are a staple in our closet, and we love them with a denim button down shirt.